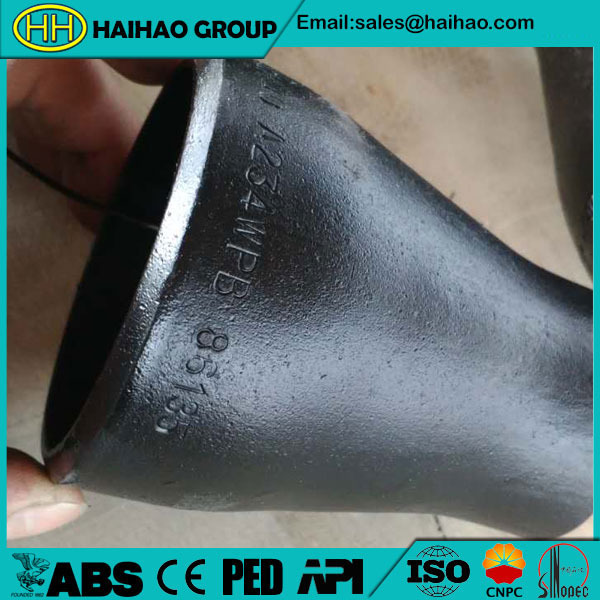 Reducer is the component in the piping system to connect two pipes with different sizes.The reducer length is usually equal to the average of the two pipe diameters.There are two kinds of pipe reducer: Concentric reducer(Con reducer) and Eccentric reducer(Ecc reducer).We mainly produce reducer according tofitting standard :ASME,ANSI,API,EN,BS,DIN,JIS,KS,GOST,AS. sch10, sch20, sch30, std, sch40, sch60, xs, sch80, sch100,sch120,sch140,sch160,xxs. Haihao Group as a professional concentric reducer manufacturers.We have more than 30 years of experience.Products are manufactured by forging,cold pressing,cold forming,hot extrusion,heat treatment,polishing,rubbing,machining and chrome finishing.Welcome to contact us when you have any need about concentric reducer and other products.